Charles Bargue was both a painter and a lithographer. He was strongly influenced by the works of Jean-Léon Gérôme and may have been a student of his and, like Gérôme, specialized in Orientalist subjects. Bargue published three volumes of Cours de Dessin, Gérôme collaborating with the first two. In 1867 he began to work on lithography. He recieved a medal for engravings that he showed at the Exposition Universelle of 1867. 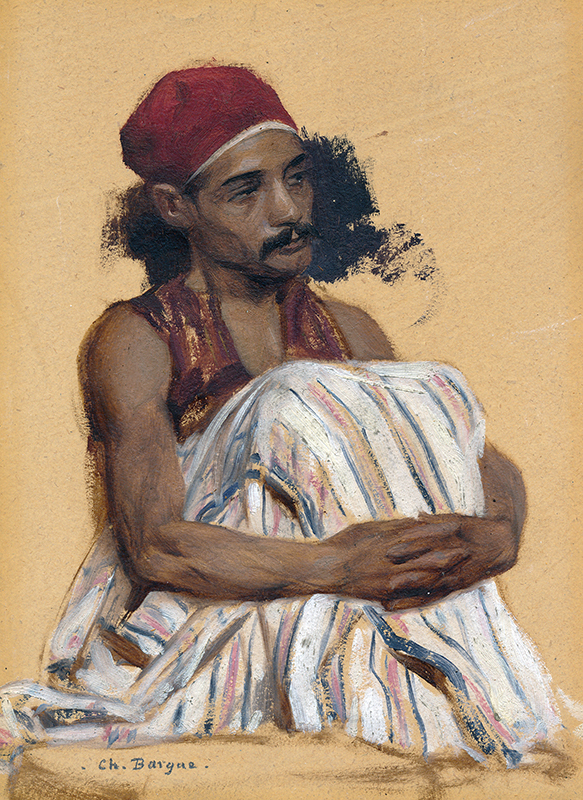 Two of his paintings are included in the collection of the Metropolitan Museum of Art in New York, Serviteur Endormi (1871) and Bashi Bazouk (1875). Please contact us if you are interested in selling your Charles Bargue paintings or other artwork from the 19th century and early 20th century.